GADGET REVIEW: KingCom S!gma Stone, "Affordable and Stylish Smartphone for your Travels"
I always travel with my mobile phone. Why? Because I need it to contact hotels, browse the web, check out restaurants and to keep me entertained during long road trips. It is also my way to stay connected on the internet through mobile data connection to update my social media accounts and sometimes do a little online work while traveling. A good and reliable smartphone is what I need on my travels. 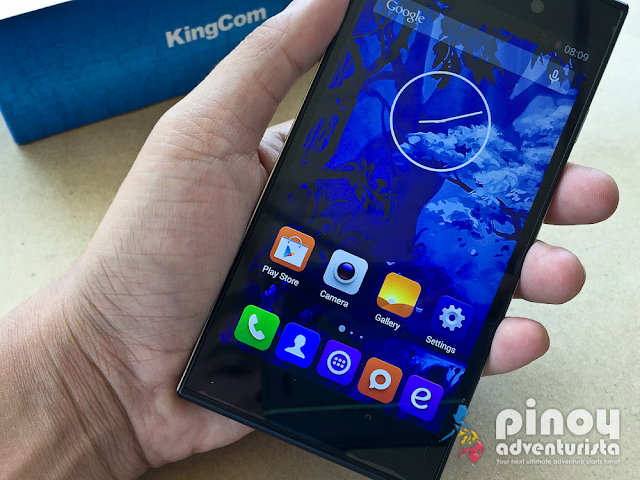 One of the newest companies that is making a mark on local smartphone market is KingCom. 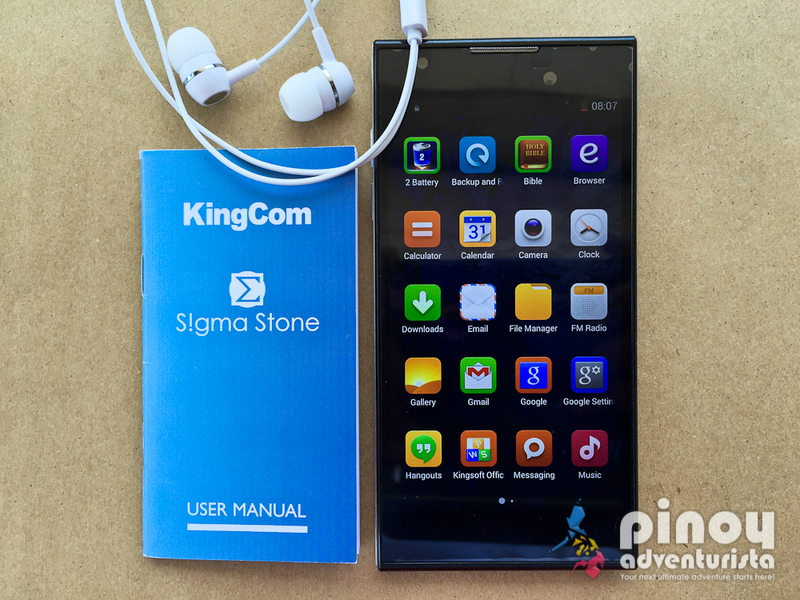 With the release of their KingCom S!gma Stone smartphone, it promises an affordable smartphone with a lot of features to offer. 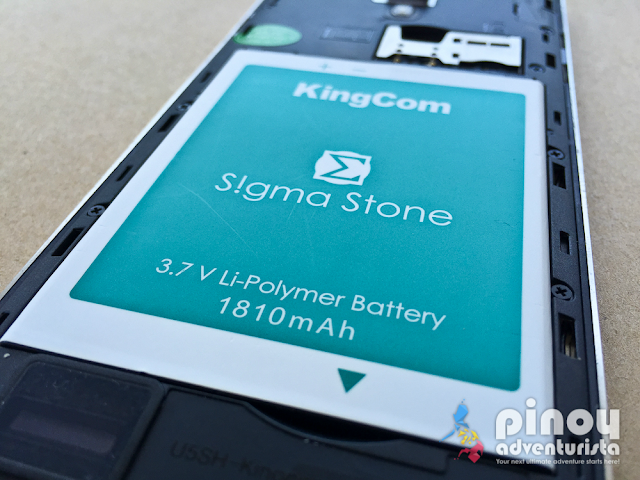 KingCom S!gma Stone is powered by Quad-Core 1.3GHz Processor running on Android 4.4 KitKat OS with 1GB RAM and partnered with 8GB of internal storage. 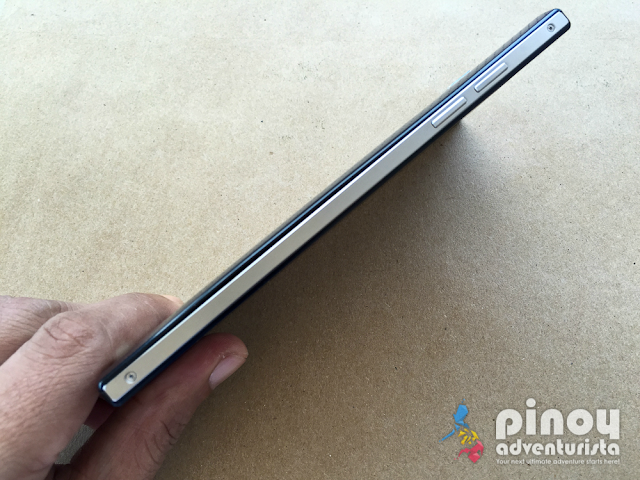 It also has a 5 inch IPS LCD display, 13 MP rear camera and 5 MP front camera. The package comes with the standard micro USB cable, adapter, headset, battery, 2 extra back covers, warranty card and user manual. I love the KingCom S!gma Stone's stylish design. With a thickness of 7.8mm, width of 71.5mm and length of 143mm, it perfectly fits my hand. It has a slim, elegant and glossy plastic body with metal trimmings, which I like! Powered by Quad-Core 1.3GHz Processor, it runs smoothly on Android 4.4 KitKat OS with 1GB RAM and partnered with 8GB of internal storage. It is fast and efficient and perfect for my multitasking activities. 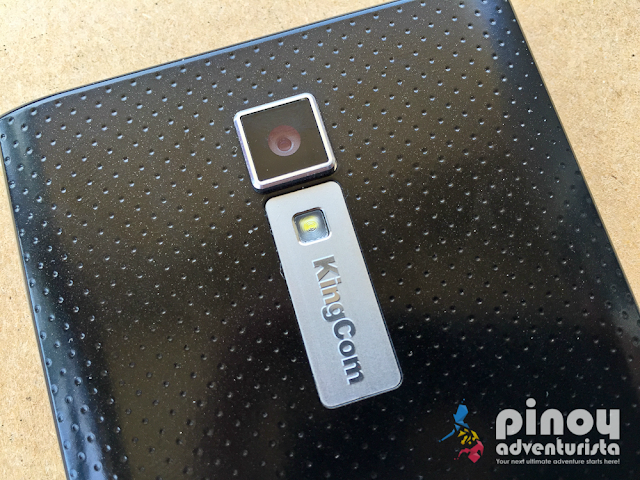 With an expandable micro SD slot of up to 64GB, I can store more photos and videos from my travels. The 13 MP rear camera with AF feature is just so perfect to capture those precious moments during my travels. 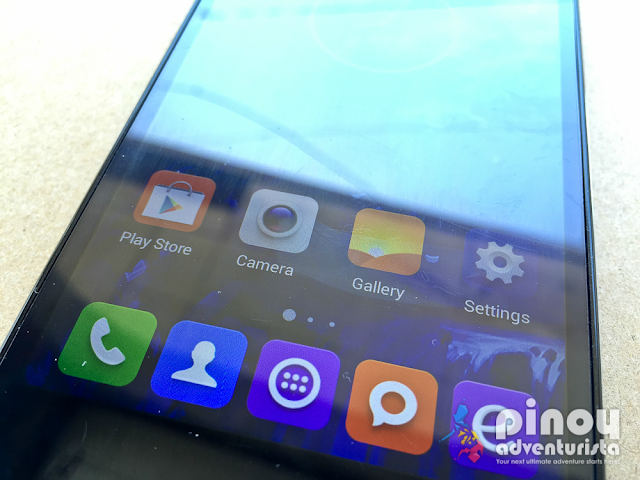 It also comes with different features such as color effects, frames and editing options. That's really cool! 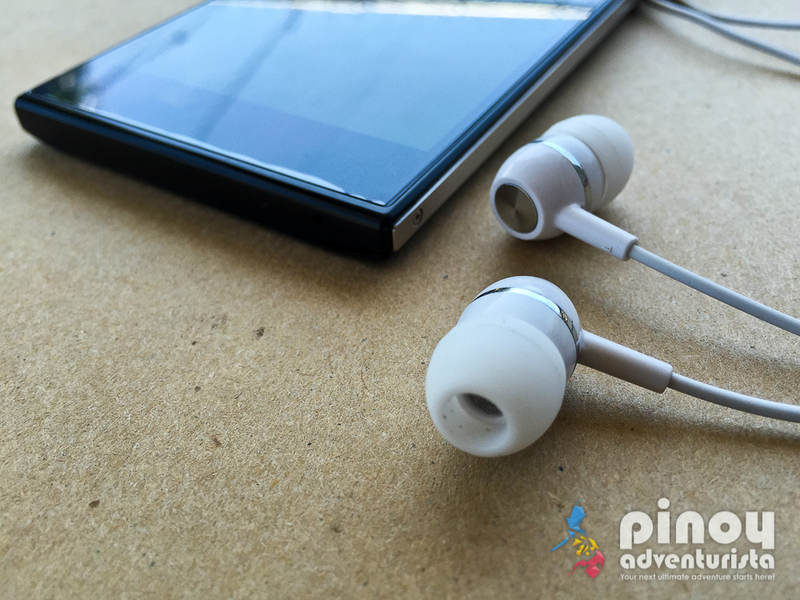 It produces high quality sound perfect when I'm listening to music or watching movies during my travels. The headset is also comfortable to use even for long hours. It comes with WiFi, 3G and Bluetooth connectivity. I can connect to the internet via data connection with its dual sim standby connectivity. With this, I can use any of the 2 major telecoms' data connectivity services. Whichever has better signal. Battery life lasts about one whole day of taking photos, updating my social media accounts, browsing the web, taking calls and sending SMS. I love it as it is just enough for me to do all the things I need to do in a day before I run to the wall socket to charge its battery. And oh, it only takes about 1-2 hours for it to be fully charged, so it won't take long if you're in a hurry. With a suggested retail price of 6,888 pesos, what else can I ask for?! This is definitely an affordable smart phone packed with great features needed by a traveler like me. So, if you're looking for an affordable smartphone that you can use on your travels, check out the KingCom S!gma Stone smartphone at the nearest KingCom outlets near you! It is not only a stylish device but also an excellent smartphone! "Be kool with KingCom S!gma Stone Smartphone!" 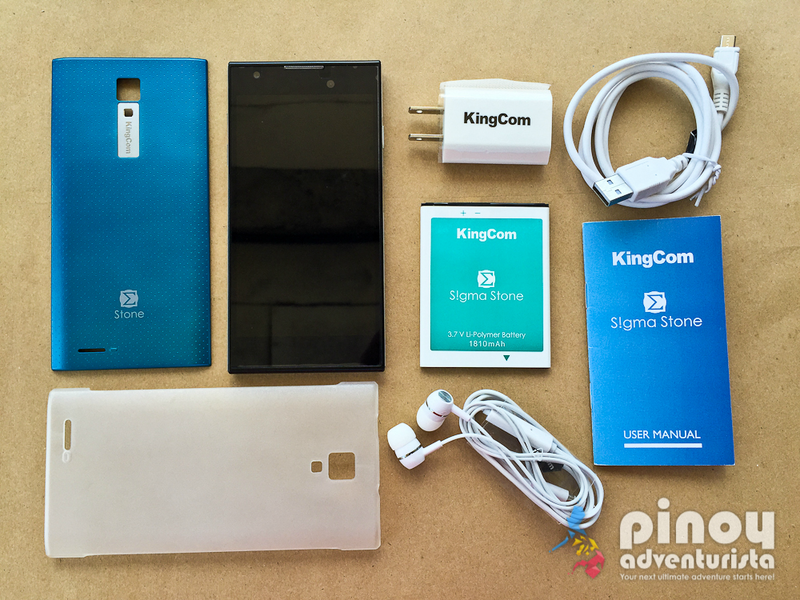 KingCom Philippines lent me this KingCom S!gma Stone Smartphone for the purpose of this review. All the comments and views expressed are mine and were not influenced by the company.